hip-hop beats & electronica elements. Their live shows contain self directed cinematic/glitch visuals with a futuristic art installation to create a surrealistic one-of-a-kind experience. Anastasia is a world traveler, originally from Russia, living in Holland, Belgium, Spain & United Kingdom, until traveling to Panama in 2010, where she started performing as a professional singer. Mark was living in San Francisco for 3 years as a solo musician, with no luck finding a singer to work with. It wasn’t until a trip to Panama City in 2012 that Mark saw Anastasia perform & was blown away by her voice. So Mark made her an offer to film her a music video in exchange for singing on some of his tracks. The barter worked & slowly developed into a full time project. Over the next two years they traveled across Panama & California, recording songs & gathering footage to use in their live shows. 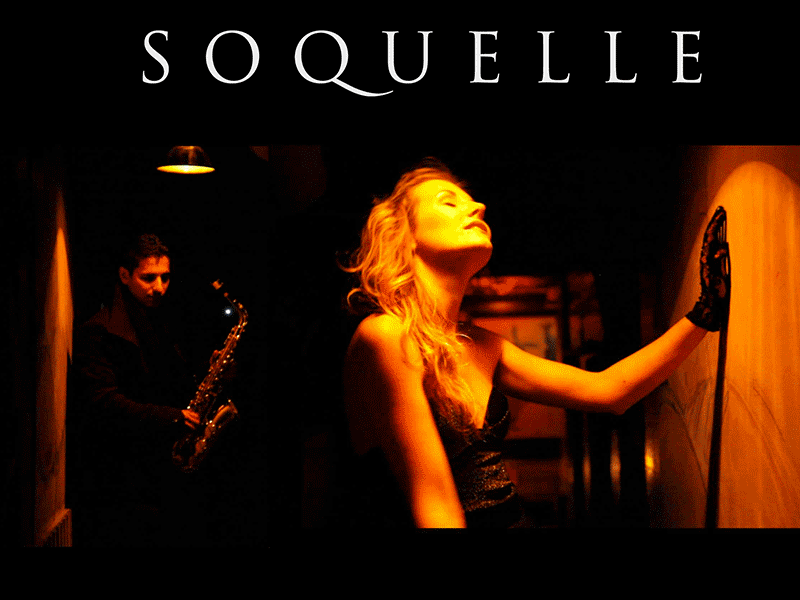 Soquelle is currently completing their debut album produced with Dan the Automator (producer for Gorillaz, Deltron3030, Dr. Octagon, DJ Shadow) & is scheduled for release in 2015. The sound appeals to fans of Sade, Massive Attack, Portishead & DJ Shadow. In the meantime they’ll be releasing new self-produced tracks & bringing their live show experience to unique venues across California.